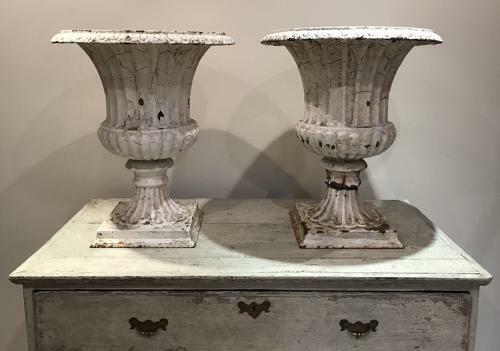 A beautiful pair of Victorian fluted Campana Urns. Made of cast iron with beautiful weathered paint. One has got an old split on the stem but is solid and has been strengthend in the past with an internal bolt which can't be seen unless you turn it over. The split has weathered over time so blends in nicely. circa 1880.